Autonomous robots are impacting myriad industries. We’ve seen them inspecting industrial tanks and even serving coffee. Usually, these robots are designed to perform repetitive simple tasks. 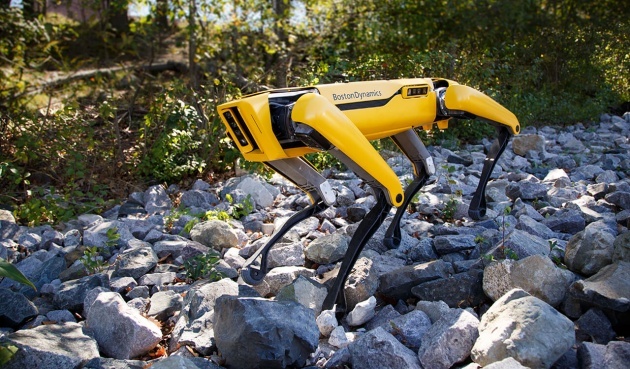 Boston Dynamics multi-functional and nimble robot, SpotMini, might be perfect for building construction. It can perform a range of dynamic tasks which include navigating autonomously through complex environments. The quadrupedal robot uses multiple mounted stereo cameras fitted with Ladar lasers to map objects around it. It can hold heavy payloads (14 kilograms) and is also tough to destabilize. It’s also capable of a range of actions because of a modular robotic arm with a large range of movement. Boston Dynamics is expected to roll out SpotoMini commercially in 2019.